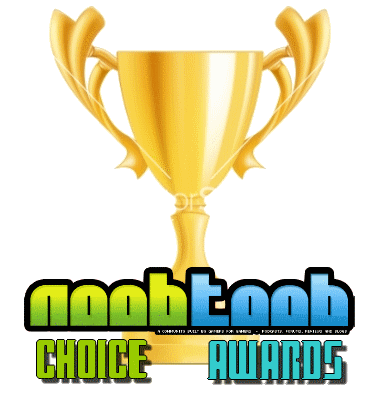 The results are in for the annual Noob's Choice Awards. Not going to lie, the turn-out kind of sucked so it had an effect on the votes, but I'm still happy with the results. Let's get this going, shall we? And there you have the results of the Noob's Choice Awards 2016. Let it be known, Dark Souls III needed one more vote to take Game of The Year, and that is my fault for giving mine to Overwatch. Oh well! Let's do this again in December of 2017! This is a great list. Well done Manio and thank you to everyone who voted. Personally my best single player and story would have been Firewatch. And my GOTY is a little indie iOS game called Sky Force Reloaded. My ID is 61 74 20 66 if anybody gets into it. I think the voting has been tempered with! How can FIFA not win anything?! Are the Russians at it again?! I'm shocked but delighted it wasn't Dark Souls 3 this year. I couldn't have bounced off of that game any earlier. I think I'm getting From Software game fatigue. It's awesome to see Stardew get a tip (if you have a PS4 pro don't play it. The game is crashing the system. I found out the hard way). Also Overwatch is an incredible game. Wouldn't be my top spot but definitely top 5. This year I'd like to suggest a new category. The FIFA of the year award. Dark Souls would have won if I didn't go Overwatch, so. Both were pretty neck and neck for my GOTY. Overwatch was good but not GOTY material by a long shot. Surprised people chose Division as most disappointing over NMS. Shocked Dark Souls 3 didn't win! @amardilo I also expected Dark Souls to at least win one category. @Dr Flibble No Man's Sky should have won the most disappointed game. It is one of the most shockingly polar opposite of what was marketed and sold to the final release that I can remember. @Manio Thanks for setting this up, it is very much appreciated! I shall be doing it again for 2017! For me The division is a big disappointment and an affront to Tom Glancy, never played a game where the grind is boring and infuriating at the same time. In Bloodborne/Dark souls it feels like i made a mistake, but the Division where enemies rush you and you have to shoot them with a 100 bullets and they only need 10, was mega annoying, i played it once more after the update, still the same crap delete, i even found Destiny more enjoyable than the Division but i hate the game that put stuff behind a paywall after an update. Question for this year's Noob Choice awards when I get around to organizing. Would Switch games be classified as handheld? That's a tough question. I'd say looking at the library of games (and for game of the year that should be the focal point) the switch is very much a home console. Zelda, Mario Kart and Splatoon 2 are all games that equal if not better in some cases, stuff we see on the PS4 and Xbox One (I'm not talking graphically). Nintendo's marketing in the current (we aren't finished with your 3ds) world also suggests (at the moment) they see the console as their home console also. The form factor alone is the only thing that screams handheld. But at the moment I spend pretty much all of my time with the switch docked and on my TV. For me it's a home console. @Manio Maybe only if Nintendo announces the discontinuation of the DS line. Switch is their home console.